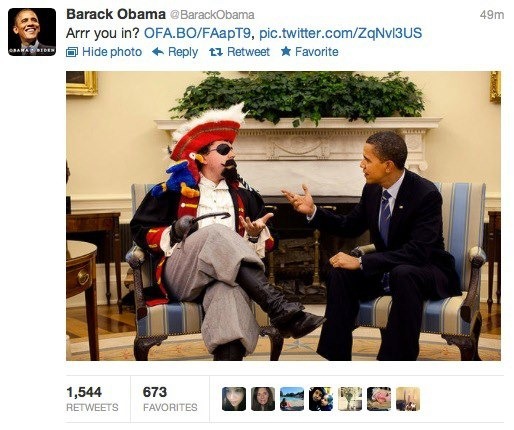 President Obama sent out this tweet for Talk Like a Pirate Day. Is this proof that he is really a closet Pastafarian? I’m not 100% sure this is accurate but I have Faith it’s true. Twin Peaks in the Houston area just had a Talk like a Pirate bit. The scantily dressed wenches there dressed up as scantily dressed Pirate wenches and seved beer. Life is good. What host are you the use of? Can I am getting your affiliate link for yohr host?